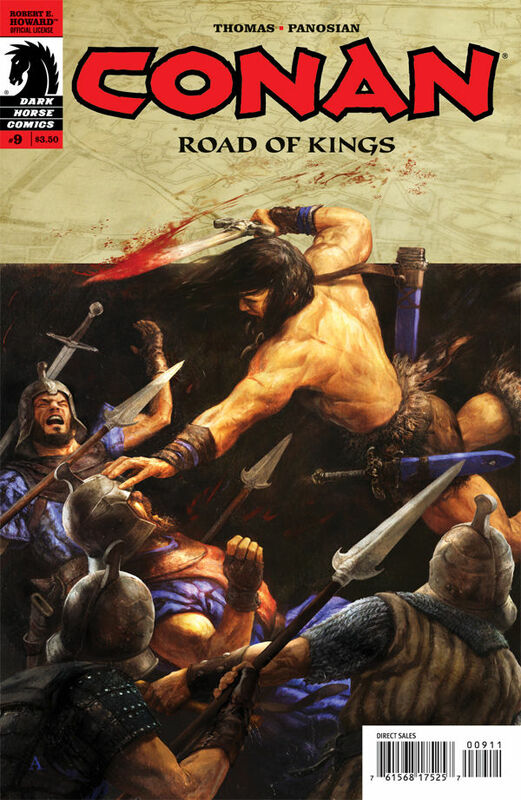 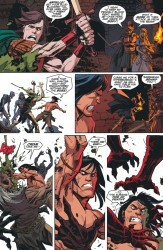 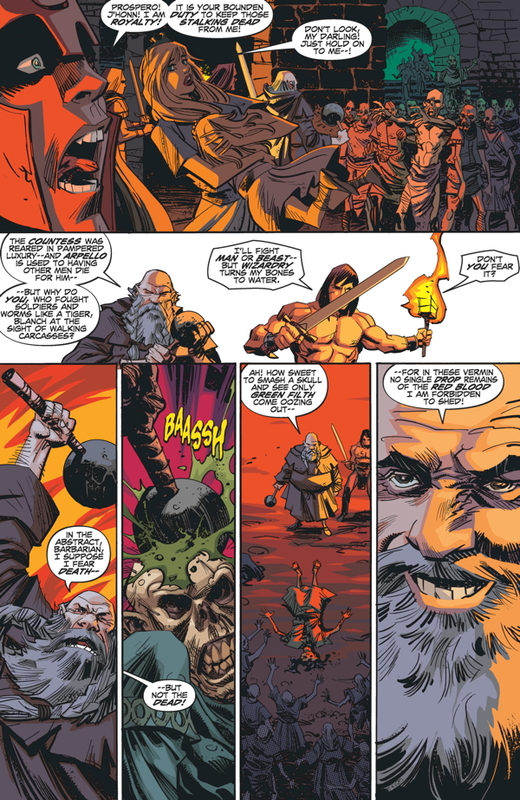 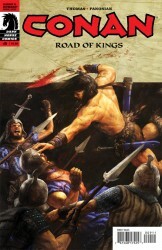 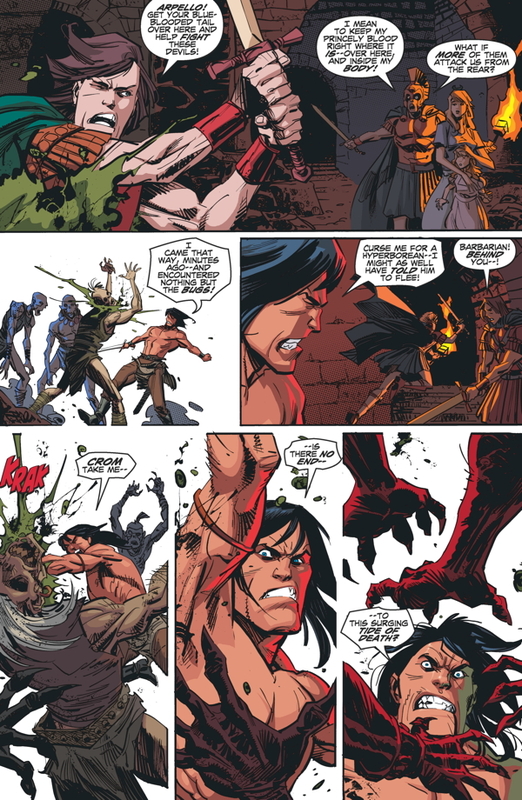 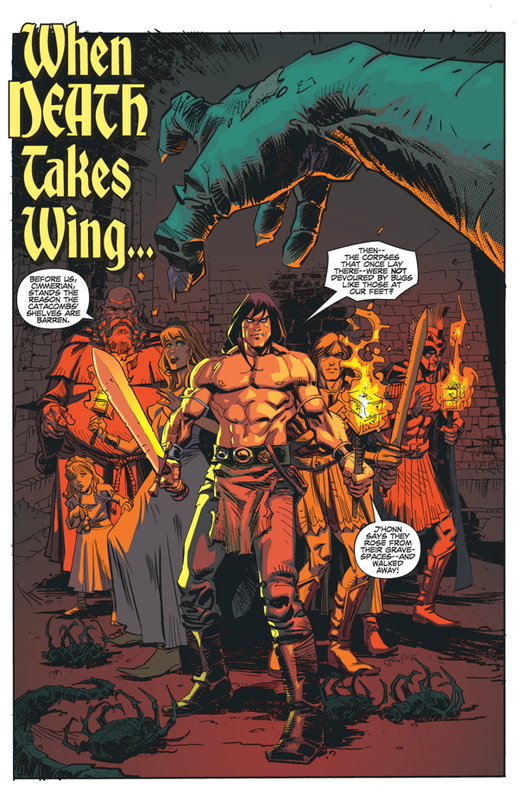 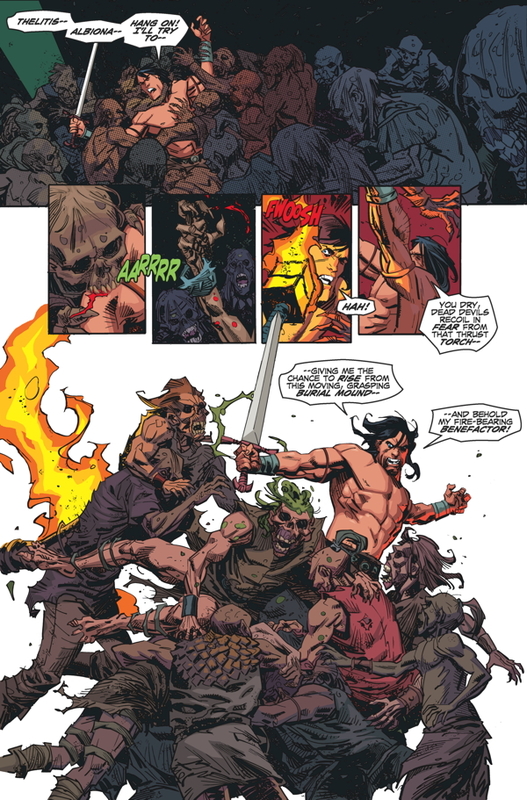 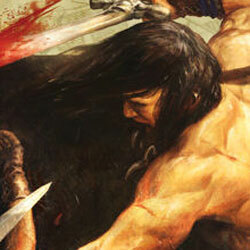 Dark Horse Comics released a sneak peek of Conan: Road of Kings #9 that arrives in stores next week. 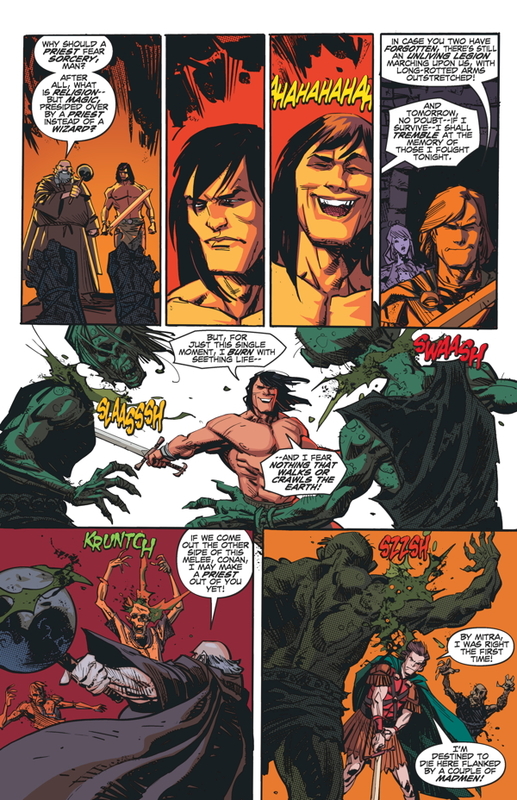 Beneath the city of Tarantia, Conan, his allies, and the child in his care are at the mercy of a horde of zombie Hyborians, while above their heads an even greater menace reveals itself! 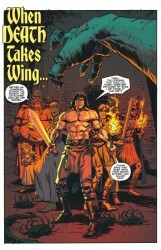 If they survive the catacombs, can Conan and his charges withstand a siege of the city?